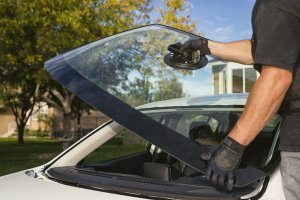 Secrets behind affordable or FREE windshield services in Pittsburgh. When driving any motor vehicle, you need to be aware of your surroundings. You should also be able to clearly see what’s going on. Any obstruction to your windshield could cause fatal results. As a driver, you should take every precaution necessary to ensure the safety of you, your passengers, pedestrians and any others vehicles with whom you share the road. While some accidents aren’t preventable, an accident caused by a neglected scratch or crack on your windshield could have been avoided. However, many drivers avoid taking immediate action to eliminate chips, scratches, or cracks in their windshield due to the cost of fixing it. But, did you know that some windshield repairs can be resolved for at a very low cost or in some cases, FREE! Pittsburgh’s windshield replacement and service center Three Rivers Auto Glass has good news for drivers. So, let’s get down to it! If you drive a vehicle, you should always have car insurance. For one, it’s illegal to drive without insurance in all 50 states. Secondly, driving without insurance means any type of automotive work to your car, or someone else’s for that matter, could cost you thousands. If you are paying for car insurance you have the opportunity to take advantage of discounted rates on many repairs. When it comes to repairing your cracked windshield, comprehensive coverage should cover the cost of the expense. While there a few insurance companies that may require additional coverage for specific types of windshield repairs, if you’ve purchased it, you’re in a good place for free a repair. While windshield replacement is rarely free, your comprehensive deductible will apply to the expense of the replacement, dropping the cost to an affordable rate. At Three River’s Auto Glass, our experts will assess the damage, and determine if your windshield needs repaired or totally replaced. And, we’ll work directly with your insurance company so you can rest easy. 1. We can come to you! We realize you are on the go! If you can’t make it into one of our service centers, we offer mobile services and can conduct windshield repairs and replacements at your home or office – at NO additional charges! 2. We will work under cold conditions. Our windshield experts will replace your glass in your driveway or at your place of business, even in the cold. Winter temps won’t hinder mobile services as long as temperatures don’t drop below 20 degrees. 3. You can drive in an hour! We use Sika Glue which dries within an hour, so you be on your way 60 minutes after installation. 4. We work with most major insurances. If you don’t see your insurance carrier on our list, we can contact your carrier and discuss possibilities of making arrangements. 5. We are everywhere! We have 6 locations conveniently located in and around the Greater Pittsburgh area! North, south, east or west – we are here to help with all of your auto-glass needs. Contact Three Rivers Auto Glass for all of your Pittsburgh windshield repairs!